The only interesting thing about either potential match-up is Manhattan coach Steve Masiello playing against his “alma mater” (he never graduated, then got caught lying about that when applying for the USF coaching job last year). Purdue lost games this season to Minnesota (not bad), Vanderbilt (ok), North Florida (in the tournament! ), and Gardner-Webb (what). 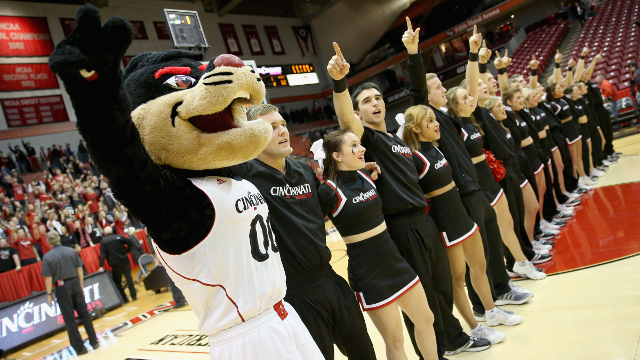 Prediction: Cincy moves on with defense. West Virginia has had such an odd season, full of injuries, ups, and downs. It makes sense that people have started to whisper about Buffalo pulling the upset. I don’t think it’s impossible, but the Bulls best win (according to RPI) is Central Michigan in the MAC title game. In the regular season, Central Michigan swept Buffalo. 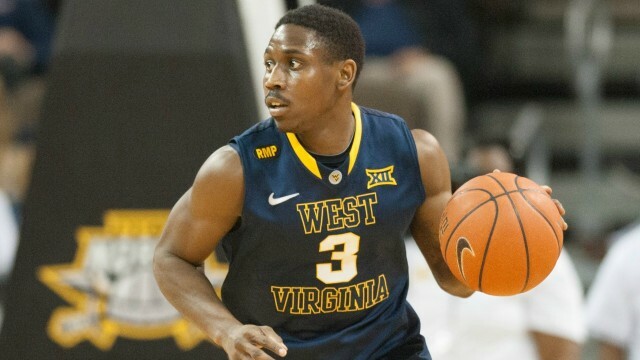 A healthy Juwan Staten makes WVU a different team, and they competed at Kansas without him. Prediction: Buffalo can win, but I don’t think they will. Valpo can stop Jake Layman. 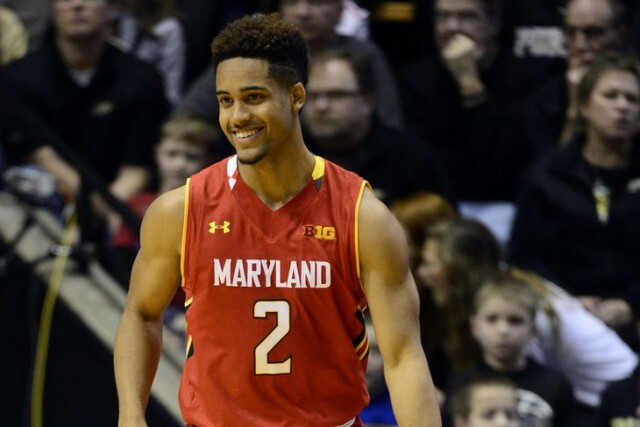 They can slow down Melo Trimble. 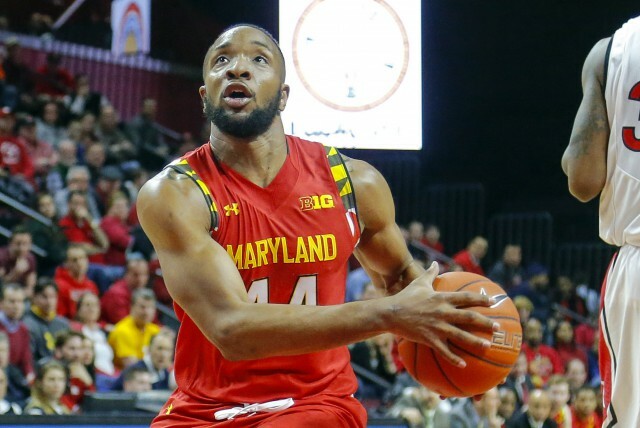 They may be able to keep Dez Wells in check. I don’t think they can do all three. Prediction: Valpo is in the game until the final minutes, but the Terps are too much. Texas has better players than Butler. Texas is coached by Rick Barnes. Take a look at some of Northeastern’s KenPom numbers. There are some scary numbers there. They turn the ball over. They don’t force turnovers. There are some very encouraging numbers. They shoot the ball exceptionally well. If they get hot, they get REALLY hot. Prediction: Notre Dame wins this 9 times out of 10. I’ll take the Irish but not be shocked if we see that “one time”. 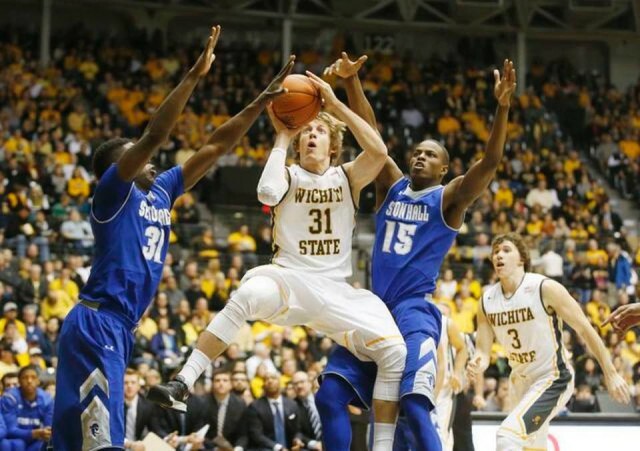 Wichita State has better players than Indiana. Wichita State is not coached by Tom Crean. Indiana is. Kansas played the hardest schedule in the nation and went 26-8. The Aggies deserved a better seed, but are in trouble. Prediction: Kansas in a blowout. 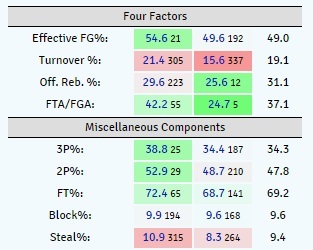 Jerian Grant is the best player in the 2nd most efficient offense in America according to KenPom rankings. I think he tends to force shots a bit more than he should. Sometimes that works. He was the reason the Irish beat Duke in South Bend. Sometimes it doesn’t work. He shot 2-8 and 2-9 in losses to UVA and Syracuse, respectively. Grant is fully capable of turning into Ironman and scoring 35+ every game as he leads Notre Dame into a showdown with Kentucky. He also could have a 3-13 shooting night and pack his bags early. Wells is a very difficult match-up for most teams. He’s too strong for most shooting guards and too quick for most forwards. In his senior year, he’ll be hellbent on advancing as far as he possibly can in this tournament. He was unstoppable in the Terps win over Wisconsin. If Maryland does face Kentucky, Wells may be a rare mismatch for the Wildcats. 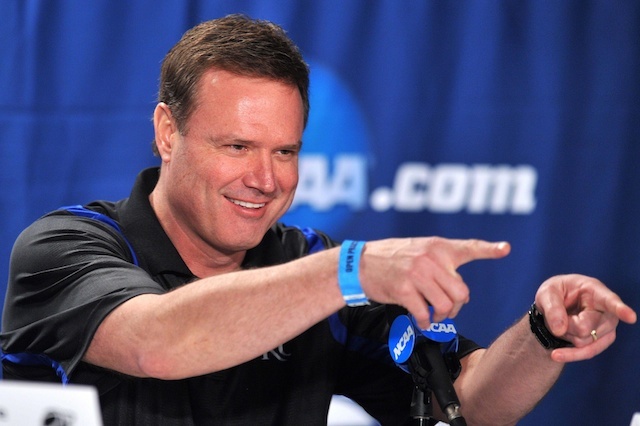 Toupee or not, Bill Self is one of the best coaches in America. If Kansas is going to make a run, it will be in part because Self knows how to put his team in position to win. In the tournament, especially in 2nd round and Elite 8 games, when you only have 1 rest day to prepare, coaching often wins games. Self is the best head man in this region and could take advantage. I don’t necessarily think he’s a question mark, but there are questions for him. He’s a great recruiter and above average as a game-planner/in-game coach. Kentucky has the best players. There is no question. Calipari needs to motivate them to win, without stepping in the way. If they don’t win the entire tournament, Calipari could be considered at fault. Crean and Barnes are the entire reason I made this category a part of these previews. It is impossible to watch a Hoosier or Longhorn game without asking yourself “Why in the world is Crean/Barnes doing that?”. Both have their Hall of Fame failures. Crean’s substitution patterns when he had Cody Zeller and Victor Oladipo were downright baffling. Barnes somehow slowed down Kevin Durant. Both are not to be trusted. 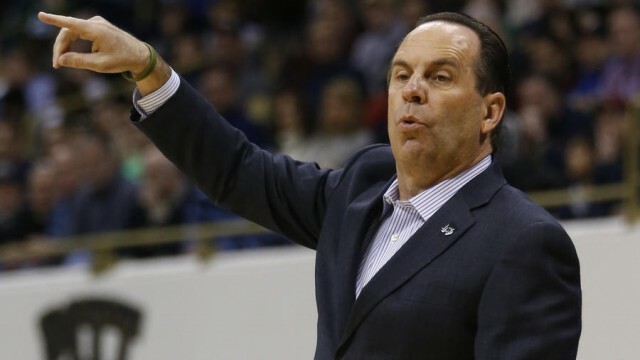 This is Mike Brey’s 16th season at Notre Dame. He has made one Sweet Sixteen as the head coach of the Irish. At a certain point, the sample size is large enough and we know that isn’t a coincidence. 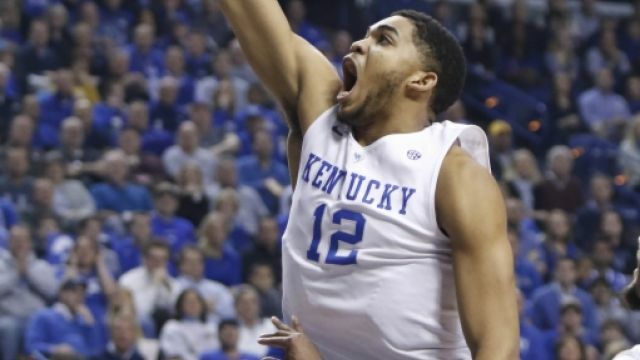 Karl-Anthony Towns (Kentucky) – Over the last several weeks, Towns has become my favorite prospect in the 2015 NBA Draft. His ability to dominate on both ends flashes, especially during big moments. He has every physical skill you want in a big man. Willie Cauley-Stein (Kentucky) – Maybe the most athletic guy his size that we’ve seen in a long time. I can’t imagine a scenario in which he does not become at the very least a DeAndre Jordan or Tyson Chandler type. 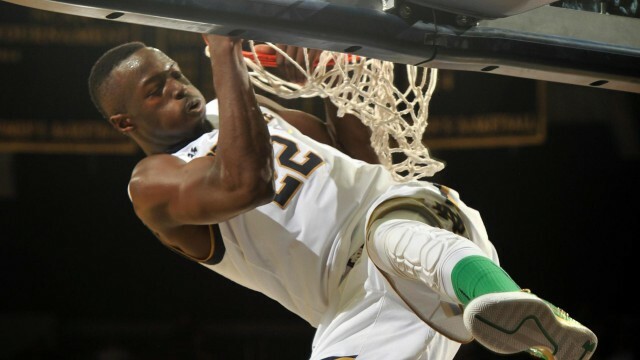 Jerian Grant (Notre Dame) – I’ve written about Grant’s NBA potential before, but he can really help his stock in the tournament. At his age, scouts EXPECT dominance. 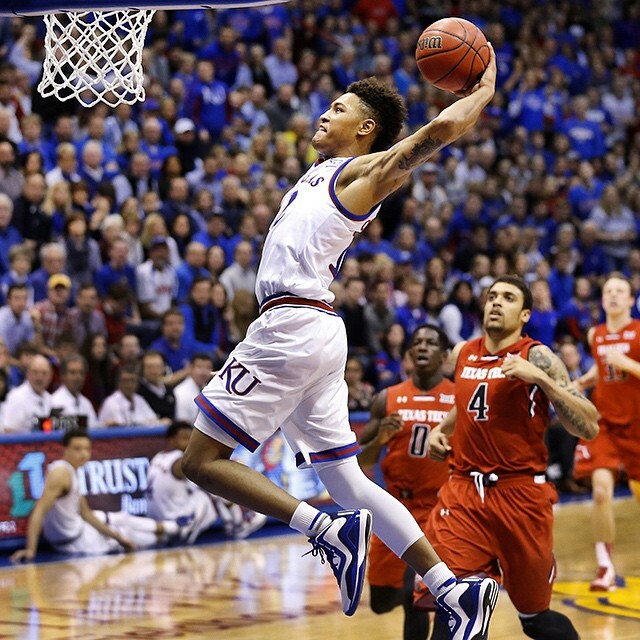 Kelly Oubre (Kansas) – Such an interesting prospect. Has a silky smooth jumper and crayz athleticism, but hasn’t produced as much as expected. Can he show something in the Big Dance? In the region, I’d take Kentucky. In the entire tournament? I’d lean more towards the field. The Wildcats are clearly the best team and no one is particularly close, but every team doesn’t need to be. All that needs to happen is for one team to be better than Kentucky for 40 minutes. Who’s the Midwest Cinderella? Buffalo, Valpo, or Northeastern? I picked all three of these potentially interesting underdogs to lose, but I’d be willing to bet one of them wins. I just have no idea which one. You may remember Tanveer’s brother, Sim “City” Bhullar. Sim is 7’5, 360 lbs and now plays in the NBA D-League (Here he is at an airport that was built for normal sized people). Tanveer is the smaller, younger brother at 7’3, 335 lbs. Their poor mother. Tanveer only plays about 4.1 minutes per game, but I suggest watching some of the Aggies game against Kansas just to see how giant he is. It’s worth it. 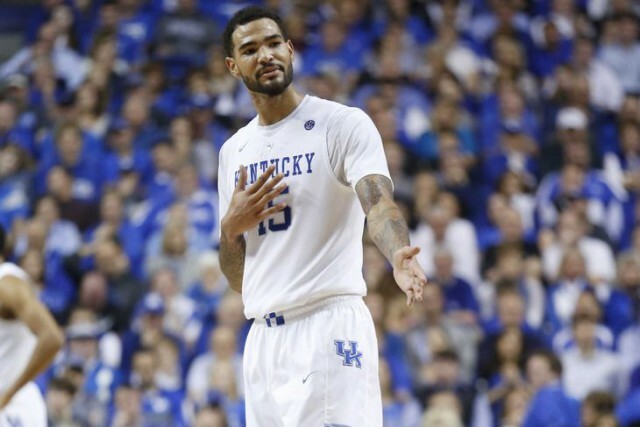 Kentucky – I think the Cats waltz to the Sweet Sixteen, playing the first two rounds in their home state. If Maryland or West Virginia play their best game, they could compete with Kentucky. Notre Dame, Kansas, and even Wichita State can beat Kentucky, if they catch Big Blue slipping up. But at the end of the day, Kentucky’s route to the Final Four isn’t exceptionally difficult. Kansas – Kansas needs three things to make the Final Four. 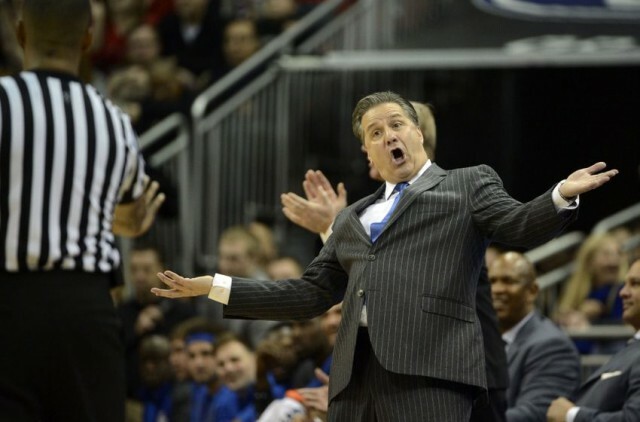 Bill Self needs to outcoach everyone, especially John Calipari if he gets the chance. Kelly Oubre needs to take his game to another level. Frank Mason and Perry Ellis need be reliable cornerstones. It’s Self and Oubre that will help Kansas win a game they shouldn’t win, but Ellis and Mason who’d be the prime scapegoats in a letdown loss. 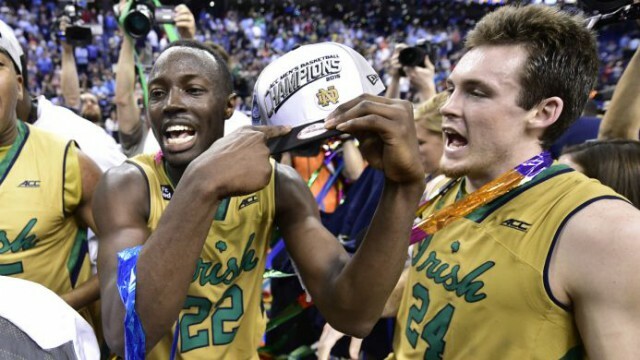 Notre Dame – The Irish’s path to the Final Four is somewhat clear. Play great on offense, make an absurd percentage of their shots, and have Jerian Grant take over some games. 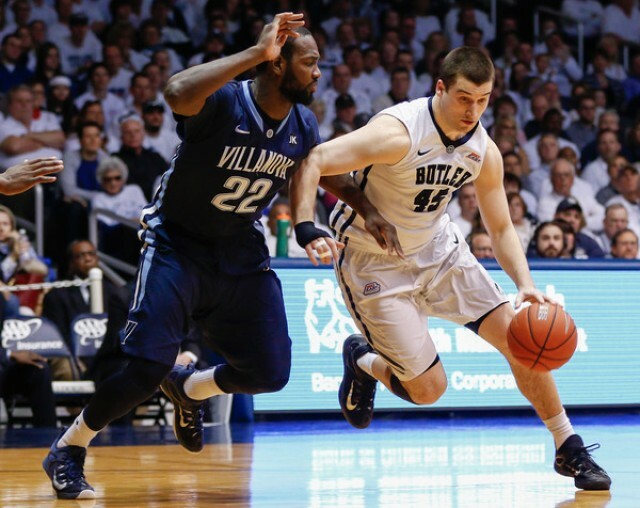 Their bigs would struggle against Kentucky, but their offense would keep them in that game.